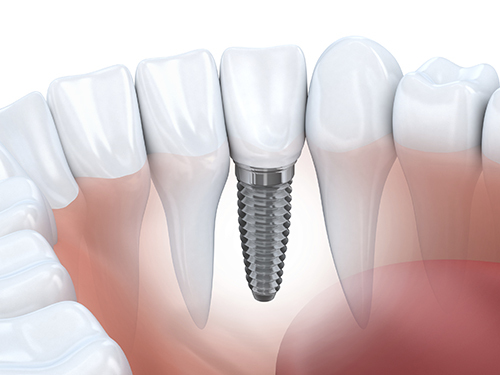 Although dental implants are a good idea for most people, some people can't have them. If you have certain conditions, you should not get dental implants. Ask us any questions you may have, and we can help you. Here are some reasons people cannot get dental implants. As always, do not hesitate to contact us for help and information you need for anything to do with dental implants. Expectant mothers should not get dental implants. Although they can get them done after the second trimester, they really should wait until the baby is born before they get this procedure done. If you have a crippling illness or a condition that is not easily controlled, it is not recommended to have dental implants done. The reason for this is because the chemicals that are given to the person getting the implants done can hurt them. People who are suffering from severe depression, emotional or psychological disturbances, or mental conditions such as anxiety and bipolar should not have dental implants. Anything that could disrupt their lives can make their emotional disorder or anxiety even worse than it is now. If your muscles are not strong enough to handle a toothbrush or anything else like that, you should not get dental implants done. The reason for this is because you will need to be able to clean your teeth afterward. Remember never to hesitate to contact us if you require help with anything for your dental implants. We can help you with anything you need to know about this. Dental implants should only be for certain people and are not for everyone. Since this is an oral surgery, you have to do what we tell you after it is done to ensure everything is going smoothly for you.